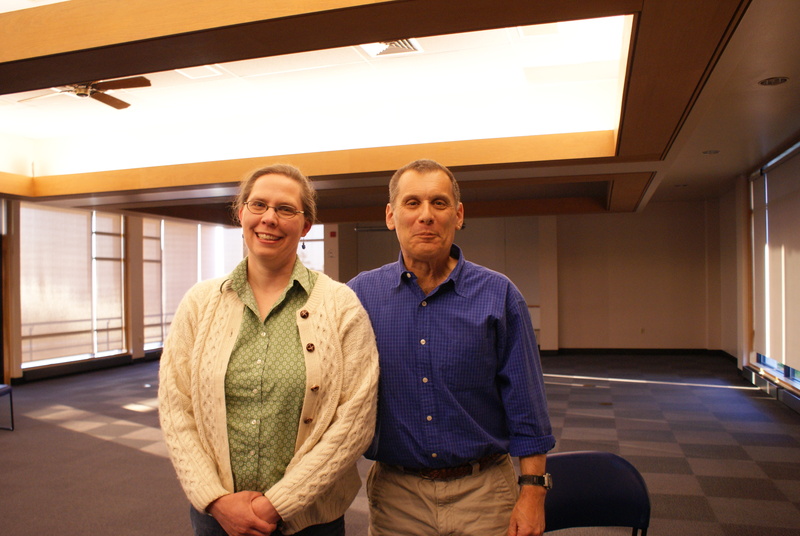 This evening I had the pleasure to attend a talk at the Edmonds Library by Craig Romano. He spoke about hiking in Snohomish County. He started with local walks and moved outward to some of the most spectacular scenery in the state and country. Craig is an energetic, funny, and informational speaker. He showed beautiful photos of destinations that made everyone eager to hit the trail. I learned about some new trails and remembered others I’ve been on before. I also got to see my friend Dicentra (she has a new book out about Trail Cooking). 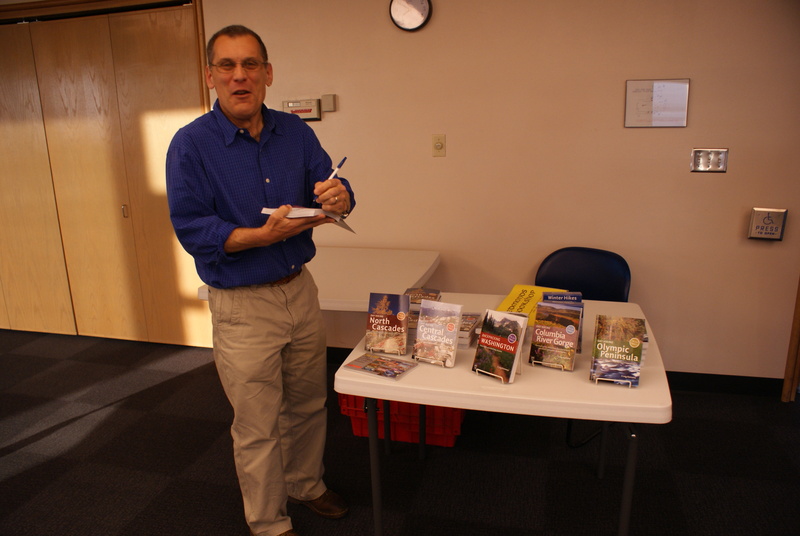 Craig Romano has written several books about hiking in Washington – from the North Cascades down to the Columbia Gorge, west to the Olympics and east into the desert. The books published by the Mountaineers have little icons that tell you which hikes are good for kids (and dogs!). It’s nice to have these details in regular adult guidebooks. He has plenty of photos, good maps and directions, and solid info about elevation gain. You can find Craig at http://CraigRomano.com. You can follow him on Facebook, and he also writes for Hike of the Week. Very nice meeting and chatting with you and Dicentra last evening. Thanks for coming out and all of your nice words. Enjoy the great weekend coming up and I expect to hear about a hiking trip you took!